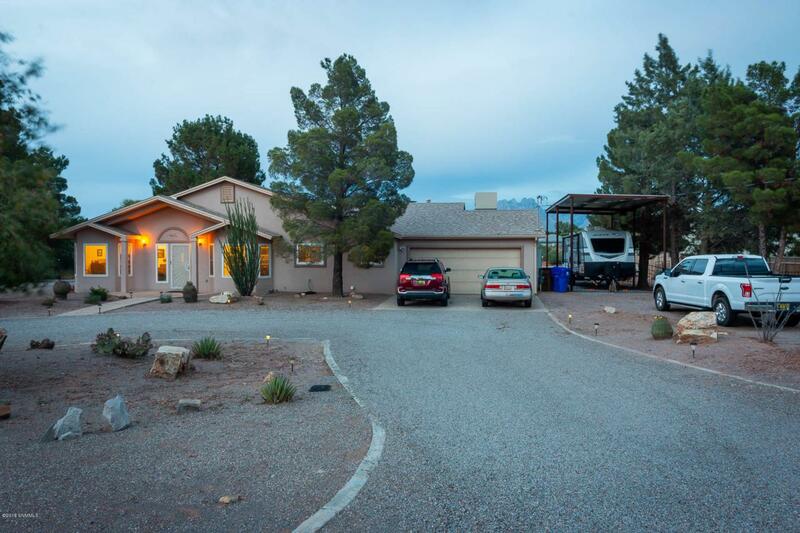 Amazing home situated in the interior of the quiet and lovely Jornada North subdivision. Wide streets lead you to your own gorgeous and affordable home located on an acre of land with beautiful Organ mountain vistas. But that's just the beginning with amenities such as a pull-through RV storage amid natural, lush and mature landscaping on auto pilot. The garage has its own A/C making it a joy to work in. A huge outdoor entertaining gazebo area comes with built-in flat screen, hot tub, luxurious outdoor furniture and roll-up privacy screens which all convey to the new owner. And discreetly located on top of the gazebo area is a 6.5k grid-tied solar electric system. Inside there's ample space for an extra office and other niceties such as built in bookcase shelving. You'll need to walk through this property for a full appreciation of its tremendous value for the dollar. Luxury living at an affordable price!